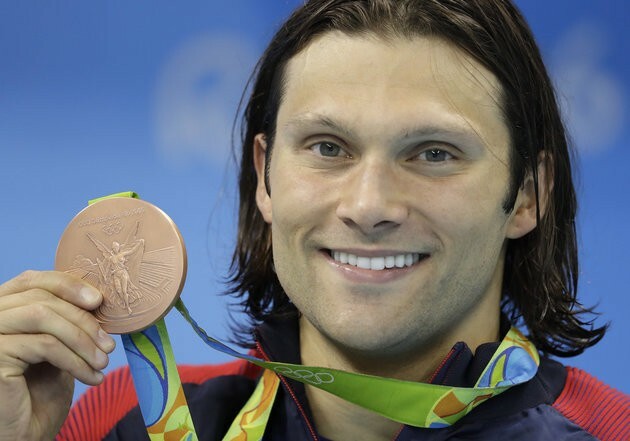 The Pectus Awareness and Support Foundation would like to congratulate Cody Miller on his Bronze Medal!! Cody Miller has a condition known as pectus excavatum. Here are the top five things you need to know about the condition. Severe pectus excavatum isn’t just a cosmetic problem. It’s actually a medical condition. Severe pectus excavatum can reduce cardiac output meaning the heart cannot function to full capacity due to the sternum limiting its full expansion during increased exercise. Most patients notice that they have a high heart rate with minimal exertion. It can also make it more difficult to take in a deep breath. Pectus excavatum can be corrected through surgery. The most common procedure performed today is the Minimally Invasive Repair or “Nuss Procedure”. During this procedure, one or more steel bars are inserted underneath the sternum to prop it up into the correct position and are left in for a minimum of two to three years. Just like braces reshape your teeth, these bars reshape the chest wall giving your heart more room to fully expand and pump blood efficiently. Although a young patient may not have symptoms of limited exercise tolerance, pain, or difficulty “keeping up” with their peers, these can develop later in life which is why severe pectus excavatum should be repaired in the early teens just before or during puberty. Adults can also be repaired by adult specialists. Pectus Excavatum patients that are not repaired can still live a normal life span.